Doctors Thomas and Roskos recommend regular dental visits twice a year. These check ups help prevent future dental complications that can be costly and painful, including gum disease, cavities and oral cancer. Establishing healthy hygiene is especially important for our younger patients. Tooth decay in children is on the rise, but it doesn’t have to be. Our office takes a preventative approach to your child’s oral health, providing stress-free services in a calming environment. Do you wish your teeth could be whiter? Using dental bleaching, Doctors Thomas and Roskos can easily reverse the signs of use of tobacco, coffee, soda or anything else that has caused your teeth to yellow. Ask us about professional teeth whitening procedures so that your teeth can become brighter and whiter — safely and quickly. Dental bonding is a procedure used to restore or improve a person’s smile. A tooth-colored resin material is applied and hardened with a special light, bonding the resign to your tooth. Veneers are thin shells that are laid onto the teeth and bonded to the surface. Although they can be made of different materials, porcelain is frequently used because of its durability and realistic appearance. Veneers are a more conservative alternative to crowns since they require less removal of the tooth’s original surface. In fact, they often require no removal of the original surface at all. With veneers in place, patients can expect straighter, whiter and more beautiful looking teeth. Do you want straighter, whiter teeth — but without the embarrassment of brands, brackets and wires? Invisalign is your answer. Invisalign fixes crowded or spaced teeth while allowing you to smile with confidence during and after treatment. Invisalign uses a series of clear, removable aligners to straighten your teeth immediately. The aligners are comfortable to wear and do not require you to alter your busy lifestyle. You visit our office about once a month to monitor your progress and get new aligners. Because the aligners are removable, you can continue to eat your favorite foods. Invisalign is a painless — and virtually invisible — way to achieve straighter, whiter teeth. 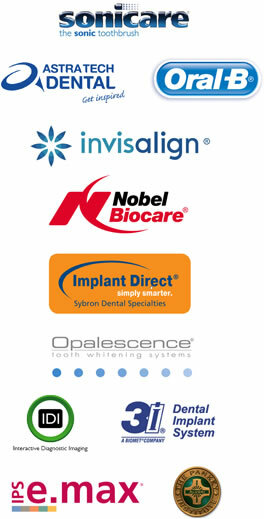 Hundreds of thousands of people worldwide have discovered Invisalign … why aren’t you one of them? Many people are apprehensive about dental visits. However, at Thomas and Roskos, we offer many solutions to give you the utmost in comfort during your visit. Oral-Conscious Sedation: You take a pill one hour prior to your visit, and your dentistry can be completed while you are asleep. Nitrous Oxide (Laughing Gas): Inhaled while we work, laughing gas can help you be more relaxed and less worried about your dental visit. Television: We have televisions in each room so you can watch your favorite programs or movies during your appointment. iPod: If you would rather listen to music, we have iPods with Bose noise-cancellation headphones. When replacing a missing tooth, dental implants are the best option in modern dentistry. Dental implant restorations look, feel and function like natural teeth. These implants can be used to replace a single tooth or multiple teeth — no matter their location. Implants are also used to stabilize a loose-fitting denture. Our doctors will determine if you are a candidate for dental implants. More than 20 million Americans suffer from recurring headaches. But most of these people go to their medical doctor and endure countless tests. Many will hear that nothing is wrong, yet they continue to suffer. Doctors Thomas and Roskos understand that a patient’s unstable bite is often the underlying cause of the problem. The pain often comes from a lower jaw that does not align properly with the top jaw. This can be caused by trauma from an accident, incomplete orthodontics or constantly clenching and grinding your teeth. Jaw misalignment leads to compressed blood vessels, constantly tight jaw muscles, and inflamed tendons and ligaments. The result: the jaw joint does not function properly and you experience great pain. Using specific diagnostic tests, our doctors will determine your ideal bite to relieve your pain. We will fit you for a custom-made appliance that fits over either your upper or lower teeth to correct the misalignment as quickly as possible. When a tooth is badly decayed, cracked or damaged, a crown can restore it to its original strength and shape. A crown is a permanent covering that fits over the tooth. They can be made with gold, porcelain fused to gold or entirely of porcelain. Porcelain crowns provide an extremely realistic appearance, and consequently are the most popular type. Crowns can be used to whiten, reshape and realign existing teeth, creating a healthy vibrant smile.